Στο 20o Forum INVEST IN GREECE έλαβε χώρα στην Νέα Υόρκη μίλησε ο Διοικητής της Α.Α.Δ.Ε. κος Γ. Πιτσιλής. Ο Διοικητής αναφέρθηκε στο μεταρρυθμιστικό έργο της ΑΑΔΕ και στην προσπάθειά της να δημιουργήσει μια φορολογική διοίκηση η οποία θα κερδίσει την εμπιστοσύνη των φορολογουμένων και θα είναι σύγχρονη έτσι ώστε να μπορέσει να ανταπεξέλθει στις προσδοκίες των επενδυτών. Ο κος Πιτσιλής αναφέρθηκε στις υπηρεσίες που το 2018 έγιναν ηλεκτρονικές (Πλατφόρμα βραχυχρόνιων μισθώσεων - Μητρώο επαγγελματικών σκαφών) τονίζοντας ότι "μέχρι σήμερα έχουν καταχωρηθεί σχεδόν 49.000 ακίνητα στη βάση δεδομένων μας και τα έσοδα που δηλώθηκαν μέχρι τις 30 Νοεμβρίου έφθασαν τα 176 εκατομμύρια ευρώ, 160% υψηλότερα από το αντίστοιχο ποσό των 2017 που ήταν μόνο 68 εκατομμύρια ευρώ." Πρόσθεσε επίσης ότι η πιο σημαντική μεταρρύθμιση για την οποία η Α.Α.Δ.Ε. εργάζεται εντατικά είναι η ηλεκτρονική τιμολόγηση και τα ηλεκτρονικά βιβλία για όλες τις επιχειρήσεις. Σημείωσε ότι η μεταρρύθμιση αυτή "θα είναι επωφελής όχι μόνο για τη φορολογική διοίκηση, αλλά θα έλεγα κυρίως για τους φορολογούμενους, καθώς θα μειώσει το κόστος συμμόρφωσης και θα εξασφαλίσει τις φορολογικές υποχρεώσεις τους. Ένα πρώτο σχέδιο ηλεκτρονικών βιβλίων έχει αποσταλεί ήδη στους εκπροσώπους του ιδιωτικού τομέα για τις παρατηρήσεις τους και ο στόχος μας είναι, μαζί με τις άλλες δημόσιες υπηρεσίες που εμπλέκονται σε αυτό το έργο, να έχουμε την ηλεκτρονική τιμολόγηση και τα ηλεκτρονικά βιβλία έτοιμα να λειτουργήσουν μέσα στο 2019." "Ένας άλλος τομέας στον οποίο ασχολούμαστε επί του παρόντος είναι η εξασφάλιση ίσων όρων ανταγωνισμού μέσω καλύτερης στόχευσης και ιεράρχησης των ελέγχων μας. Κάθε χρόνο χρησιμοποιούμε την αποκτηθείσα πείρα προκειμένου να αξιοποιήσουμε καλύτερα τα δεδομένα που έχουμε στην κατοχή μας και να βελτιώσουμε την ανάλυση κινδύνου μας. Για το επιχειρησιακό σχέδιό μας του 2019, μέρος των ελέγχων μας θα επικεντρωθεί σε συγκεκριμένα στοιχεία, όπως τομεακή ανάλυση του ελλείμματος του ΦΠΑ και του φόρου εισοδήματος, επαναλαμβανόμενες παραβιάσεις της φορολογικής νομοθεσίας κλπ." 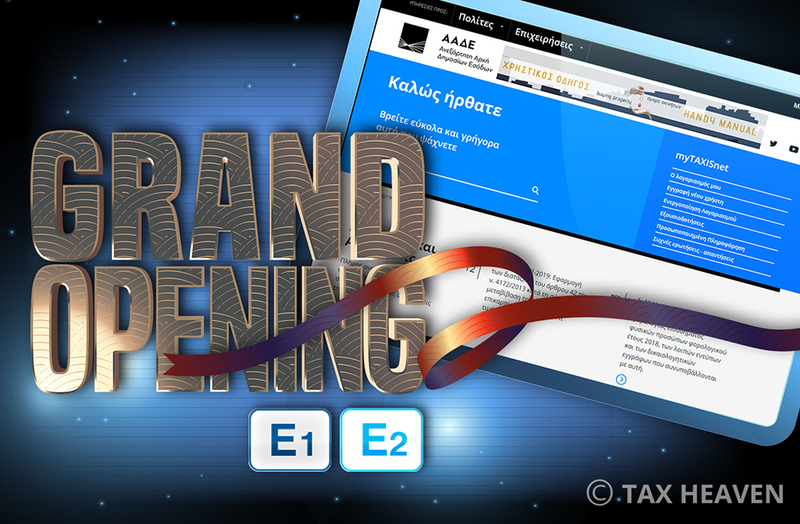 It is a great honor for me to be here for a third consecutive year and have the opportunity to talk to you about what we are working on in the Greek tax administration. Because this gives me the chance, in front of an audience that is interested in investing in our country, to reaffirm our commitment to establish a tax administration that is worthy of the trust of its taxpayers. 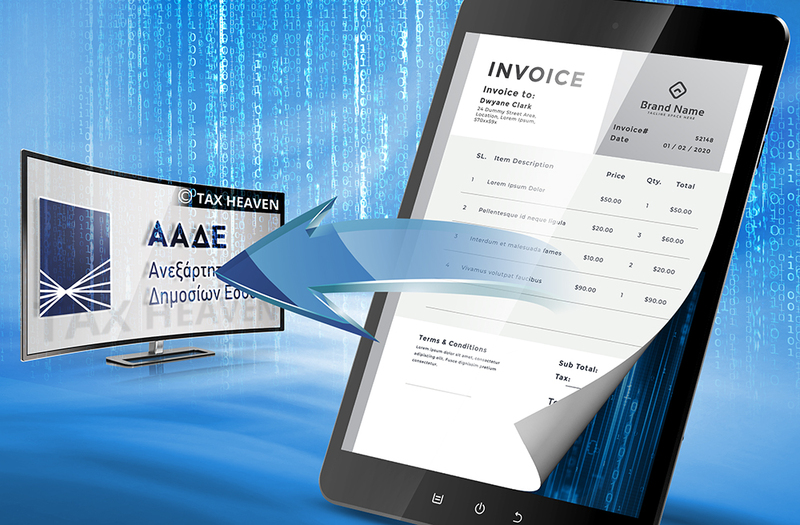 As many of you may know, for almost two years now the Greek Tax and Customs Administration is operating as an organizationally and functionally independent single revenue authority. And I am proud to say that, barring the unexpected, we are to exceed our revenue collection targets for a second consecutive year and also reach a new record in collection of overdue debt. But, I know very well that this is not enough for potential investors. Because, coming from the private sector myself, I know that investors have Rey right to expect from the tax administration to ensure Efficiency, Quality Services and Fairness. And those are what we are trying to respond to, through our reform projects. Last year, from this same podium I had the chance to refer to our Blueprint reform, the umbrella project that shapes our vision for a modern tax administration. One year later, many things are underway. Starting with services to taxpayers and electronic filing, one of our strong points since 2013 is the broad set of mandatorily electronic tax returns for income tax, tonnage tax and VAT, along with extensive pre-population of those returns with third party data (employers, banks). In 2018, a few more tax services became electronic. The first one is the filing of short term rentals through sharing economy platforms. 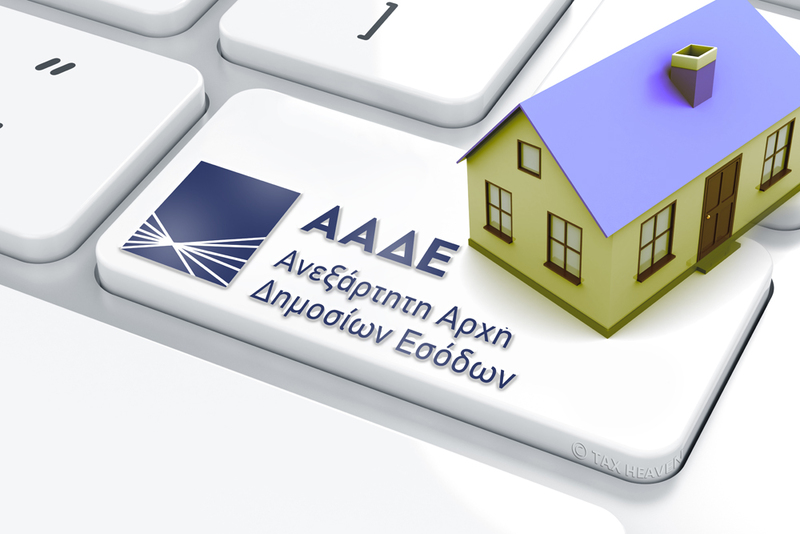 We are very proud for that last electronic filing service, because we created two user friendly applications, where in 3-5 minutes home owners can register their listed properties and, in another 1-3 minutes, declare their short term rentals, information that goes directly to the annual tax return. The results were quite remarkable: so far almost 49.000 properties have been registered in our database and revenue declared until November 30th reached 176 million euros, 160% higher that the respective amount of 2017 which was only 68 million euros. Furthermore, a few days ago, we inaugurated the electronic registry of professional tourist and private leisure vessels, which along with the for electronic filing of the tax on tourist vessels, which is expected to end in the first trimester of 2019, provides a comprehensive set of electronic filing services in the shipping sector. But, I have to say, the most important reform we are working on intensively is electronic bookkeeping and electronic invoicing for all businesses. Indeed, becoming paperless in this field will be beneficial not only for the tax administration, but I would say mainly for taxpayers, as it will reduce compliance costs and bring certainty to their tax obligations. A first draft of electronic books is already sent to representatives of the private sector for their comments and our goal is, together with the other public services involved in this project to have the electronic invoicing and books running in 2019. Another sector we are currently working on is ensuring level playing field through better targeting and prioritization of our audits. Every year we use the experience gained in order to make better use of the data in our possession and improve our risk analysis. For our 2019 business plan, a part of our audits will be targeted on the basis of specific elements, such as sectoral analysis of VAT and income tax gap, repeated violations of tax legislation, etc. Following the example of other tax administrations, another small but significant part of our audits will be based on randomness, passing the message that, irrespective of probabilities, anyone can be audited. Similarly, we are currently working on upgrading our customs controls structure, by creating a flexible body of customs officers that will perform controls throughout the country under the guidance of a central directorate dedicated to this purpose. That said, our duty is not only to audit taxpayers, but also to timely refund taxes due to them. It’s an issue of great importance for exporting companies and their VAT refunds. Through intensive work and central monitoring of processes we managed to reduce the stock of arrears from 3,285 billion in 2015 to less than a billion this year. And it is worth noting that from the current stock, only 20% is actually overdue and unprocessed. Our target for 2019 is to completely eliminate the existence of unprocessed claims dating more that 90 days. Another very important task for us is to facilitate trade. And I would say that this task is crucial, given that Greece is the southeastern gate of the mainland of the European Union. With the first Decision, we exempt from VAT domestic goods and merchandise from third countries, after payment of customs duties, that are stored in designated customs warehouses. In this way, we support the creation of large supply Hubs, which can directly support and respond to large orders, such as these from international shipping. Secondly, with the Free Zone Decision, we have modernised and simplified the procedures required for the establishment and operation of businesses within the free zones, setting a framework of clearly distinct roles and obligations between the customs authorities of the free zones and their administrators. In the IAPR we are well aware that no improvement to the quality of our services to taxpayers can come if we don’t improve the way we treat our 12.000 employees. This is why we have insisted in establishing a modern Human Resources management system. The first step was made in 2017, by attributing every employee with his own job description. The second step was launched a few days ago, with the announcement of a new appraisal system, which is tailored to the needs and expectations of our revenue agency, aiming to reward the best and help the weaker to increase their performance. - a wage grid related to the grading system. We are ready to finalize these three steps and discuss them with the political leadership, so that we have a common understanding of the necessity and of the various aspects of the reform. In the mean time, we are happy and proud to reward for a second consecutive year our services on the basis of their performance. The amount paid to each employee is not a life changer, it's mainly an expression of the recognition by the administration of each one’s effort in achieving our objectives. What I mentioned before was not an effort to convince you that we have tamed the monster of bureaucracy in the Greek tax administration. That would be untrue. I just wanted to show that, despite the difficulties, we apply with determination all the necessary reforms that transform us into a modern and trustworthy organization. Because we know that this is a win win situation. More investments bring more public revenue. So, we want you with us. We want you to know, to feel, that we are beside you. We want to know, to feel, that you are with us. That we are both on the same side of the river.